This is why you should avoid doing anything other than driving while you're actually driving. 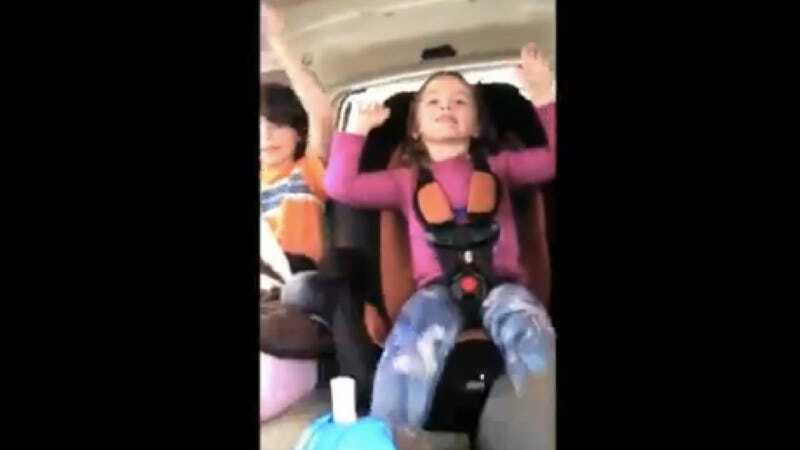 Especially turning around and filming your kid while they sing a silly little song, because then you get into a massive accident. The video itself is actually almost a year old, at the very least, and in that year we haven't seen any real attempts to verify its authenticity, or whether it's just another terrible PSA, but hot damn. "What happened?" the little girl asks. And I can go into a whole rant about how you shouldn't do stupid crap while you're driving, but you know what? I don't think it's necessary. Mom's lucky her kids are alive, and especially that no one was hurt,a s the video says.